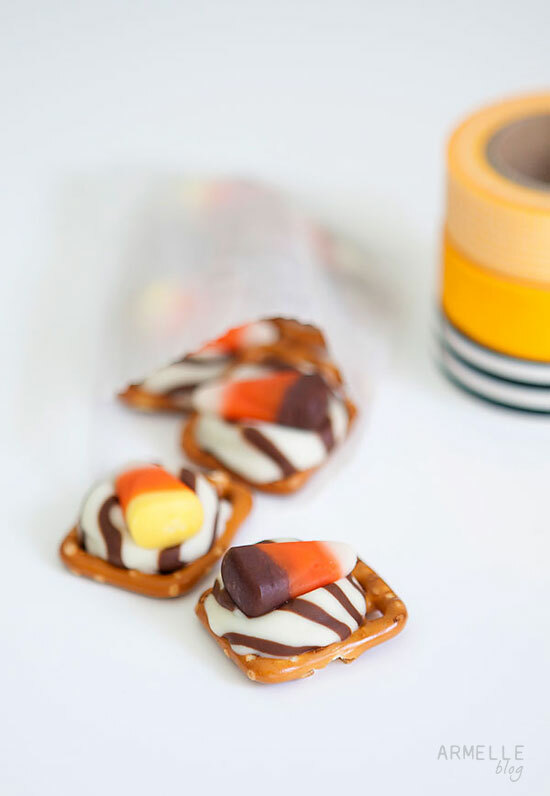 We made these festive holiday treats the other day, and they turned out so cute! 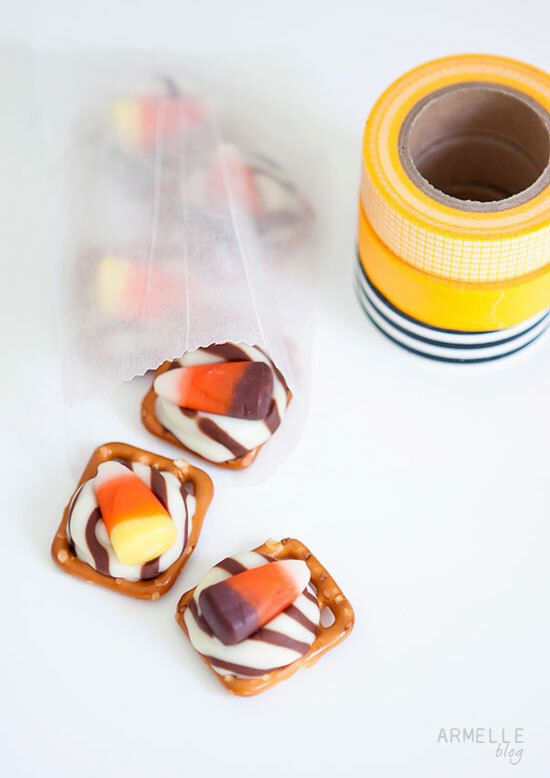 They are simple to make, and would be perfect for your upcoming Halloween parties or Thanksgiving table. They only take three ingredients to make, with no prep time at all! To check out my full tutorial, and step by step instructions, be sure to check out my post over on Hellobee! great to find your blog!! Thanks for following me on twitter. I always enjoy discovering other Utah blogs. 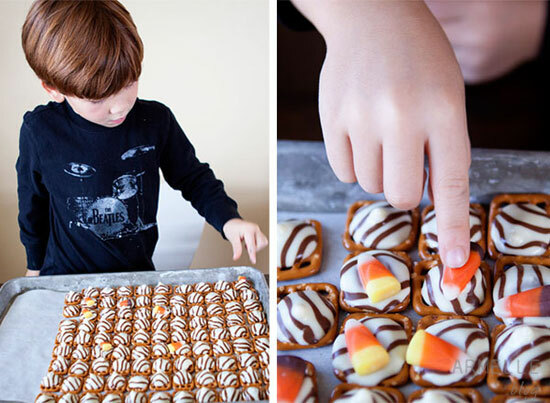 This recipe looks super fun for kids too! I am obsessed with these. It really is the perfect mix of salty and sweet! I'll have to make these soon! I bought all the stuff!..So excited to make these tonight with Diego! 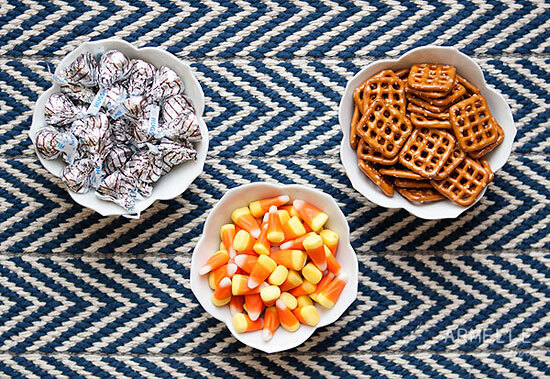 Sweet and salty is one of my favorite combos!Bummer I didn't see this before our Halloween party this past weekend.